Final Fantasy Zz is a much more difficult version of Final Fantasy with a few enhancements designed to make the game more enjoyable and much more challenging. 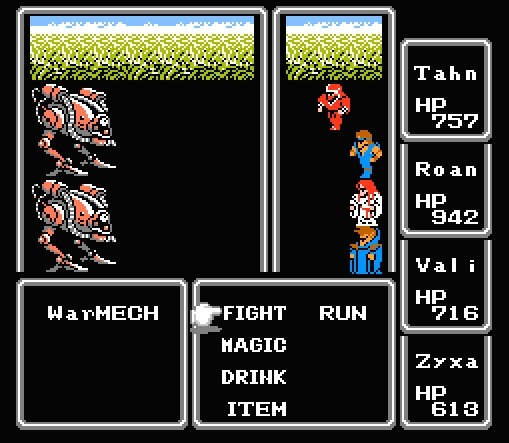 While Final Fantasy Zz is largely true to the original Final Fantasy, this hack contains multiple bugfixes, such as fixing the critical hit bug, the Black Belt armor bug, and some cosmetic bugs. 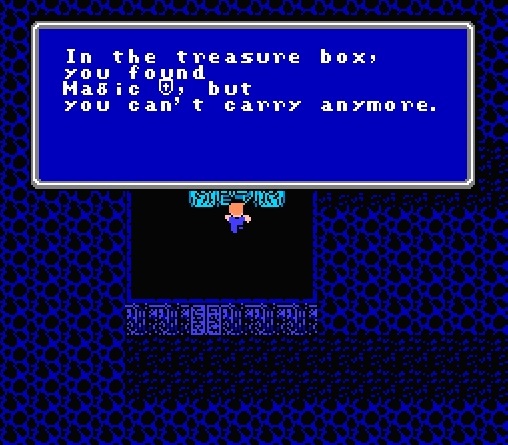 There are also some improvements, such as the ability to buy 9 Heal Potions at a time, the ability to see whatâ€™s in a treasure chest without taking the item if your inventory is full, new magic spells, a slightly redesigned map, rebalanced classes, a few new monsters, and the ability to dash by holding the B-button. 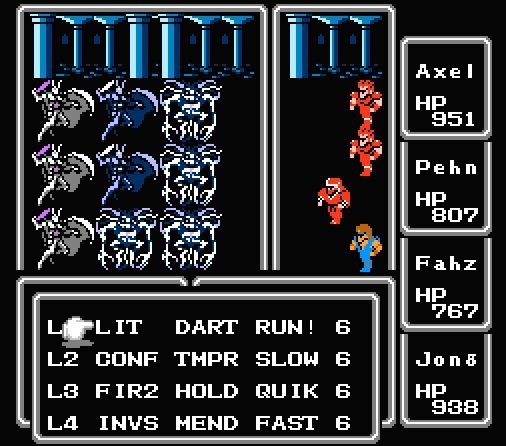 Many enemies have altered stats and some have new special attacks. 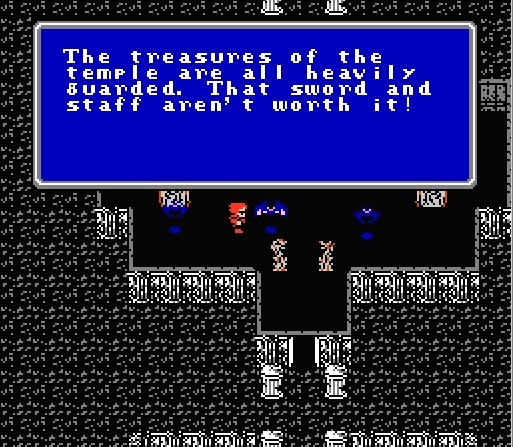 This is an outdated version of Final Fantasy Zz. This hack has had three more releases since 1.51. The most current version is 2.1, which is available at RHDN.